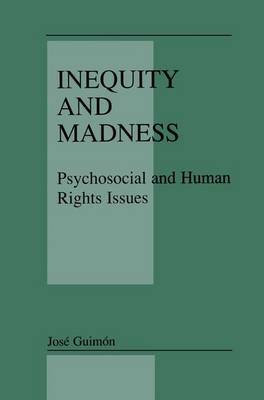 Two ofthe most important notions concerning the rights of people with mental illness are among the most neglected: the first is that human rights and duties are complementary and that both must be considered in constructing a framework for mental health care. The second is that we must strive for equity and not only for equality in developing mental health programs. The first ofthese notions is complex. It refers to the duties ofpeople with mental illness and to the duties ofthose who surround them. Mental illness does not liberate the person who has it from civic obligations. The most basic ofthese is to give support to others and to refuse to harm them Their carers, society and the patient's self-respect all gain through their recognition, even though the fulfilment of these obligations might be difficult or impossible in certain periods ofillness. The duty of those surrounding the patients is to recognise and respect their existence and to make the necessary arrangements to respond to their needs, protect their rights and compensate for their temporary or permanent inability to fulfil their civic duties. A society's social capital is the public good that results from the mutual supportofmembers ofa society: iffor one reason or another, some or all members ofa society fail to offer such support the social capital will diminish and the society will cease to be civic.